Four blocks away (10 Minutes), Doña Fela or La Puntilla Parking Available parking at the San Juan Cathedral, Hotel El Covento Parking 3 hrs for $5.00 with stamped ticket. Flamenco Show on Friday and Saturday evenings from 8pm to 9pm. You must call at 787-725-7912 to make a reservation for the show..
For groups of 50 or 100 people. The entire menu is available for off-site catering. 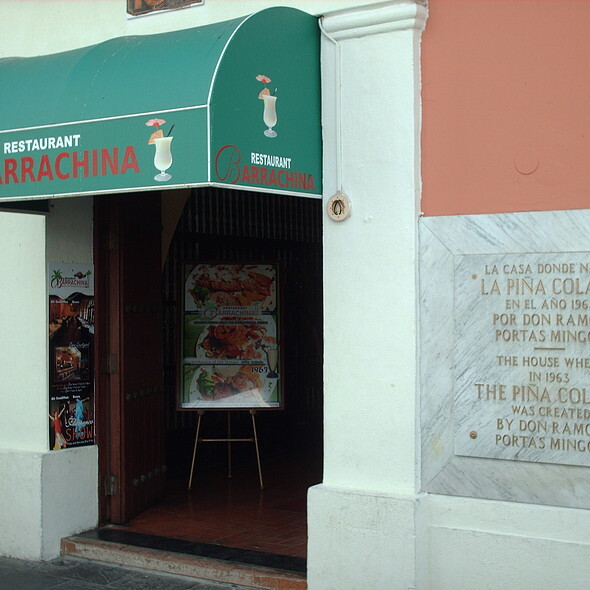 Located in Old San Juan, just one block from La Fortaleza (the Governor’s Mansion) Barrachina restaurant has been catering to tourist and locals for over 40 years in the old city. The surrounding beauty of a colonial building over two centuries old with an interior courtyard and magnificent tropical foliage is the birthplace and home of the world famous piña colada, where don Ramon Portas Mingot, first made the famous drink in 1963. A visit to San Juan is not complete without Barrachina. For reservations for the Flamenco show on Friday and Saturday evenings, please contact the restaurant directly. The burgers are served with romaine lettuce, tomatoes, red onions, pickels and french tries (Las hamburguesas son servidas con lechuga romana, tomate, cebolla, pepinillo y papas fritas. This was our least favorite dining experience after six days in San Juan. We reserved in advance which is a requirement, so that went smoothly, but the waiter forgot our appetizers and the rest of our dinner took an hour and 15 minutes to get to us. The saving graces were the yummy pina coladas and the flamenco dancers. Food was so-so. Service meh. We had a great experience. Our Open Table reservations was honored. The restaurant was packed. The service was not very fast, but extremely friendly. Food was excellent and reasonably priced. The lobster was particularly good, and we drank the Spanish famous "sangría", made with a good read and in a huge garafe. All the staff was professional and kind with us. We fully recommend this restaurant. Great as always. I have been in Barrachina several times. Nothing has changed sin the first time. 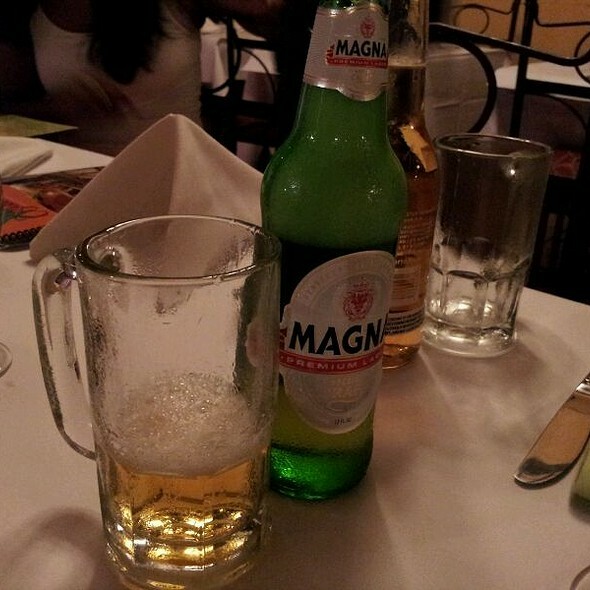 Great food, service and ambience. The “mero frito” and the Paella are to die for! Of course they are the inventors of the Piña Colada, so is a must! I've done some research for the past four months on fried fish and fish tacos and fine Barrachina's fish fritters appetizer the best: so moist and not over fried! And it's big enough for lunch for one. Had to try the Shrimp Mofongo... Delicious! Maybe we went on an off day or something. Mojito was so bad it wasn't even the correct color and it was served in a falling apart paper Pepsi cup. Vegetables were overcooked yet cold. Fajitas were bland and the meat was very tough. 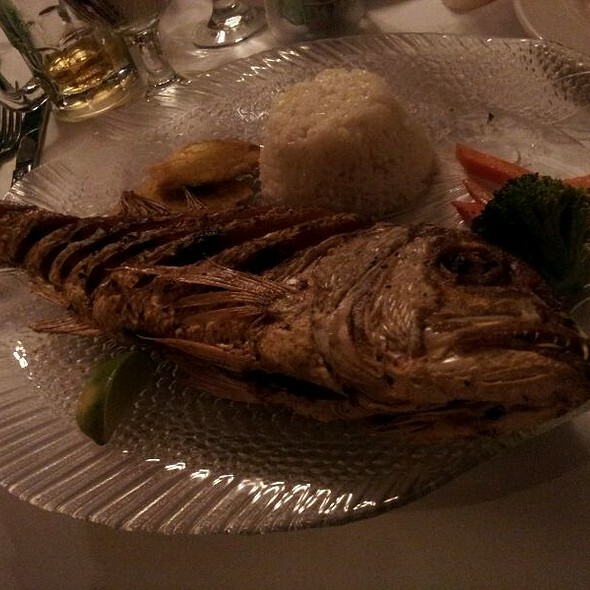 The fried whole Snapper was way overcooked. The service was poor and slow even though they were not busy. Make reservations beforehand to secure a table. Paella was terrific and pina coladas strong and delicious. Tourist fare but that is what we are! The Piña colada was good but that’s it. The steak was bland, mofongo was dry and it took 20 minutes to get our appetizer. I had to ask for water and it didn’t come until haveway through our meal. It was disappointing. Food was not tasty at all and food was cold when brought to our table. Touristy place, but worth the visit. 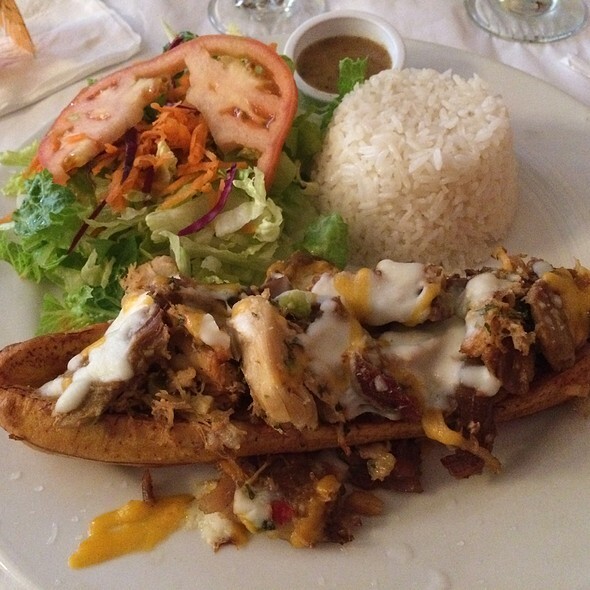 Good food, great pina coladas, good service. Sit outside if you can. I set rsvp for 5:45 then changed 5 mins later for 5:30. Got there 5:22 told the lady I had changed my time to earlier and I’m here. She made me wait till 5:47 to seat me and the restaurant was empty. And said she needed to seat me at my time. But again I had changed it and told her that. She started to wave iPad in the air saying not what this says. Sat us down next to a bunch of plants the table was full of flys. We ordered. Food took over 30 mins and sever said two tables are in front of you. I paid 10.00 for a 3.00 pina colada that we can pre made. As a chef and wife’s personal favorite drink. I can taste the can in the flavor. Never in my life will go back. Stay away service stinks. Food was good but not great. Pina Colada’s were very good. Service was okay but it was obvious the restaurant is under staffed. Open Table was instrumental in us finding this great spot. We of course had to have a pina colada. YUM! I had Mofongo with shrimp that was excellent. I have been to Old San Juan many times but this was my first experience at Barrachina. The pina coladas definitely lived up to the hype and were reasonably priced! The paella for two probably would have been better to split between three or four, but the flavor was amazing. Great people and great food. best of all, when you have hours between the end of a cruise and your flight, they hold your bags for free and you can go walk around Old San Juan. 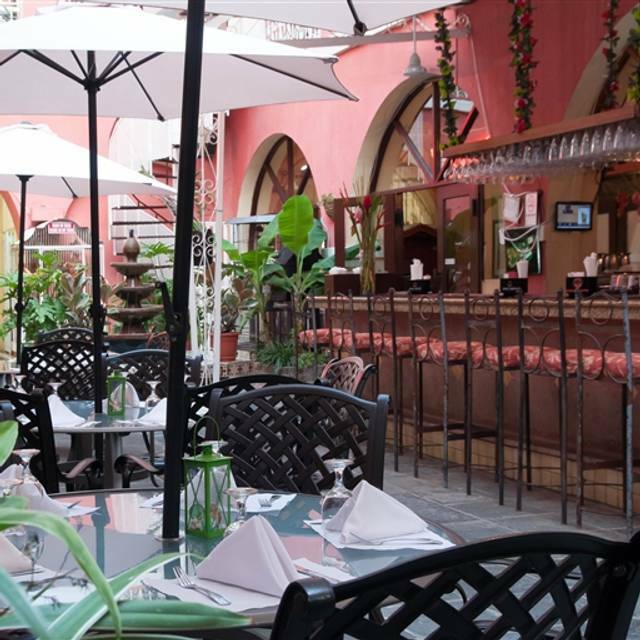 The location is just a few blocks from the cruise terminal and it is in the heart of Old San Juan. They have an adjacent taxi stand so it is a great place to get the taxi to the airport which is a low fixed rate. 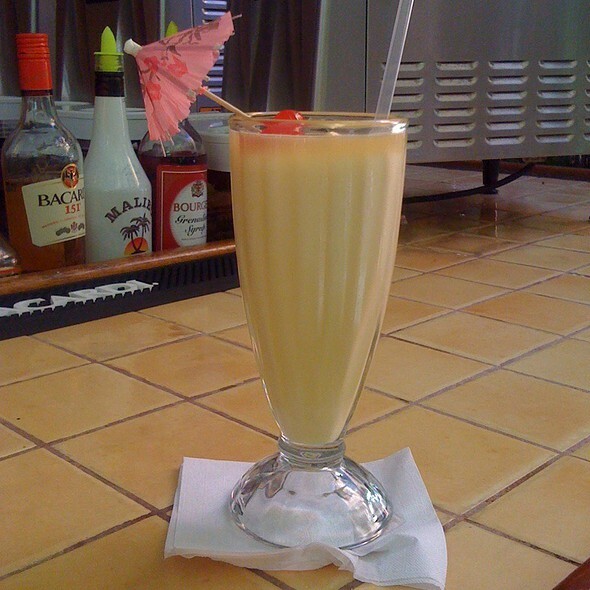 Barrachna is located in a nice area, and serves amazing Pina Coladas. However, service is slow, the food is slightly above average at best and side dishes actually arrive cold. I went twice (once during peak time and once off peak), so that's a good sample size. Go once and set low expectations for anything other than the drinks. This restaurant was highly recommended by the concierge at our hotel for local Puerto Rican specialities. The Ambiance was fine.. although the paper tablecloths were not great. However, my negative review is based on the quality of the food. Unfortunately my spouses Can Can pork was totally dry and overcooked and mostly unedible. 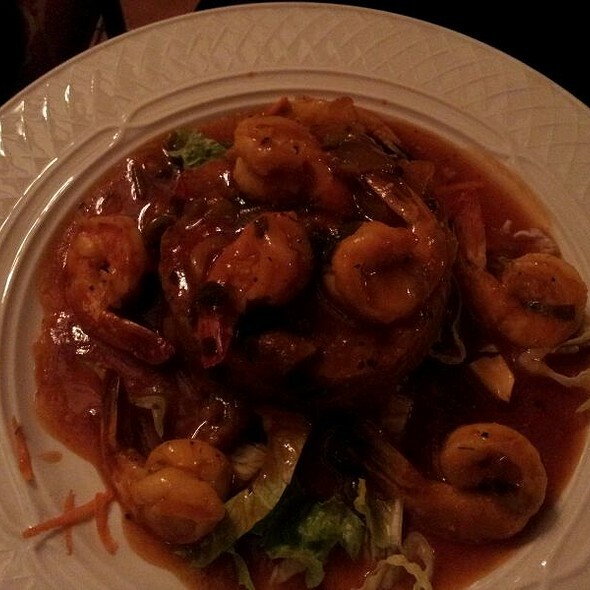 My shrimp mofongo was not great either - the shrimp was okay but too sweet a red sauce for me. The mofongo was absolutely dry and tasteless. Very disappointed. Most likely worst food I have had in a longtime. Redsnapper is very delicious and big !! Mo fongo is soso. Pina colada is string to me. They are very kind !! Food was great, pina coladas were amazing, waiter was good and ambiance is great if you sit in the courtyard! I booked this based on other reviews o read. It did not disappoint! Our group of 7 had 8pm reservations while we were in San Juan on a cruise stop. We happened to get to the restaurant a little after 6 and they were able to seat us immediately. My family ordered the paella and mofongo. Both were amazing! Made reservation a month in advance for when our cruise ship docked in San Juan. Definitely would do so again the next time I visit. Happy to spend time in Barrachina in our short visit to Old San Juan. Pallea was outstanding and the Pina Coladas were delicious! Service was a little slow, but they made up for it in their friendly, humorous demeanor. The food was really awful; the mofongo was dry and hard and the paella wasn’t prepared in a skillet the way it should be. I’d go again for the Pina Coladas, but I wouldn’t get the food. Fun atmosphere and appreciate the help with our luggage. Also great shopping in the same building. Pina coladas were a treat. We went on our last evening in San Juan, and it was the perfect closing dinner. We made later reservations but we over extended ourselves and NEEDED earlier seating, they were booked and busy but still accommodating and they made it work! Great food and service. The Virgin pina cola was so delicious. Definely try the mfongo. Great flamenco show as well. This place is a tourist trap. The food was mediocre at best. The server spilled a drink on my dinner date and she was slow to bring napkins to clean off his pants. The appetizers and the entrees were cold when they arrived at our table. As a positive, the pina colada was good. Overall, this place was decent. For the prices, I expected a great experiences. It wasn't a good value at all. Great pina coladas. Fast and friendly service. Great food. Decent prices. We went 8pm Fri night and it was pretty quiet which was fine by us since we had our kids with us. Convenient because you can make reservations online. Good services, many waitresses helping around! Reservations is very important Is a popular restaurant in viejo San Juan, the piña colada a most try and make your own opinion: my opinion: good “drinkable” but not that good! Mofongo relleno THE BEST!! !